New technology will determine who is really the guilty party. Mostly famous for their role in airplane crash investigations, black boxes have provided key evidence because of their power to tell us what went wrong just before a crash. Now, the technology has been incorporated into vehicles, being installed in over 90% of new cars. Usually located under the steering wheel with sensors all over the car, the data can be accessed for review. Insurance agencies to determine fault. Key evidence can be pieced together to determine who caused the accident and what could have been done to prevent it. 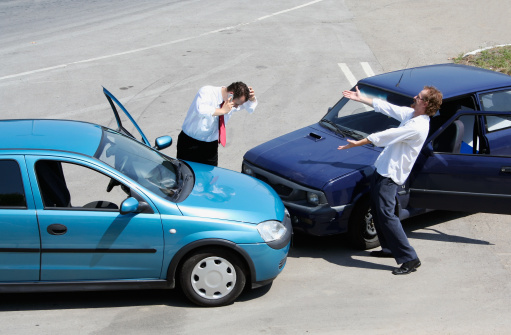 This could also potentially affect insurance premiums after an accident once fault is determined. A court to prove guilt or innocence. If there is a case involving evidence that can be taken from a black box, the courts can use them to prove that a driver was distracted or negligent. You might also be able to prove that the negligence evidenced on the black box was the cause of injury, allowing you to potentially sue for personal injury damages. Speed, braking and acceleration are all monitored by this box that records and stores the data. It can also prove that there was another person in the vehicle during an accident who could potentially be a witness. At MVD Express, we monitor current laws and new developments in vehicles in order to bring you the latest information possible. There is some confusion about what data can be used legally and to what extent, with some issues being brought to the attention of the United States Congress to form new laws. If these become mandatory in every car, as the National Traffic Highway Safety Association wants, we can expect to see more detailed information about crashes that could potentially make our roads safer by making drivers focus even more carefully on the way they drive. At least, drivers might have more information about their driving habits.